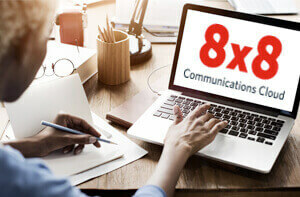 Salesforce Integration | 8x8, Inc.
By combining the power of Salesforce Service Cloud or Salesforce Sales Cloud with 8x8 Virtual Contact Center, your business can radically improve how customers are served. 8x8 and Salesforce have partnered to provide a cloud-based integration that combines the strengths of the two products out-of-the-box. 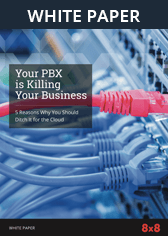 Instead of requiring months of integration services, start serving your customers better in days! Arm Agents with the Right Information: Pop customer information directly to the agent’s Salesforce browser based on the caller’s phone number or other information gathered in the IVR. Better data: Deliver critical information to people who need it with consolidated reporting and administrative information. 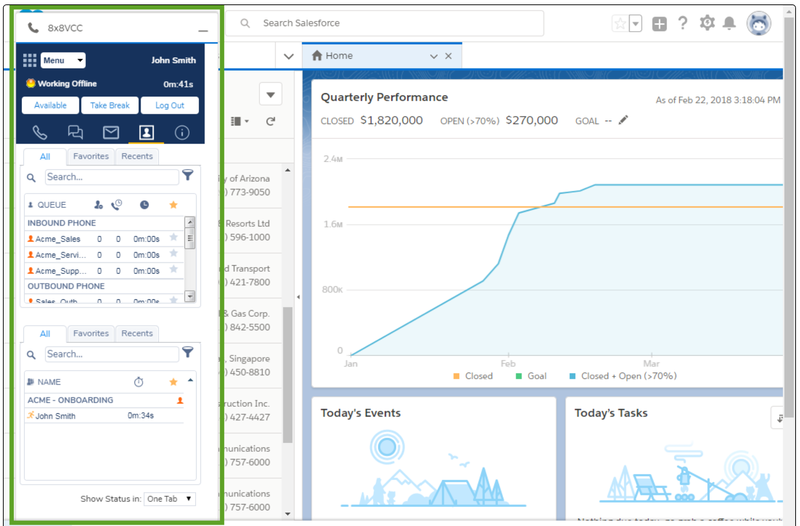 Console and non-Console: Whether you are using the Console capabilities or not, 8x8’s integration fits seamlessly into the Salesforce environment providing an intuitive interface that makes it easier for your employees to do their jobs. 8x8 Virtual Contact Center writes key information on each customer interaction into Salesforce giving you new insight into the full customer experience including not only just the various support steps but the different customer interactions along the way. 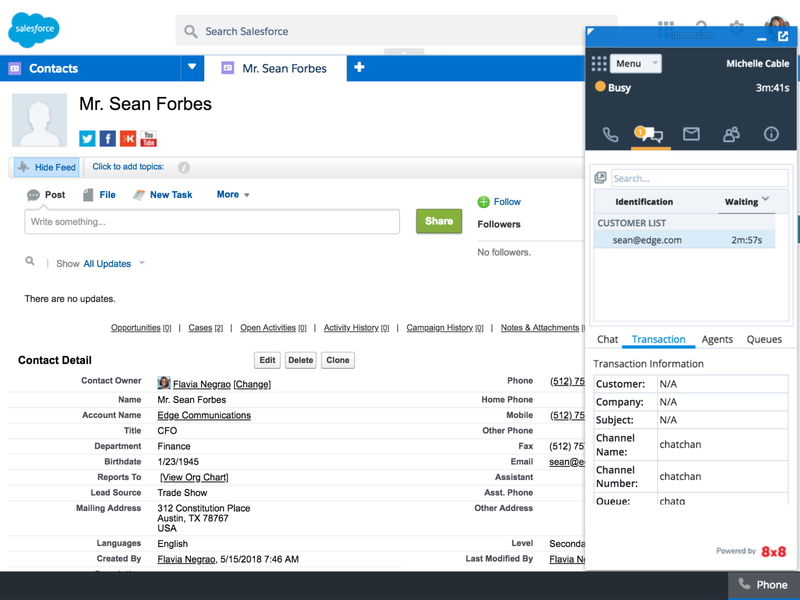 The 8x8-Salesforce integration gives you unprecedented insight into how you are treating your customers. See how long it took to bring an issue to closure and the steps involved in that process, including how many different times the customer contacted you via a variety of different channels.